Ethnic Uyghur government workers in northwestern China’s Xinjiang region are being ordered to remove the word “Islam” from a box indicating religious affiliation on their household registration forms, in a move aimed at further reducing cultural identity in the volatile region, sources say. An official directive sent out a month ago warns recipients not to delay in changing the form if the offending word has already been entered, sources in Xinjiang told RFA’s Uyghur Service. 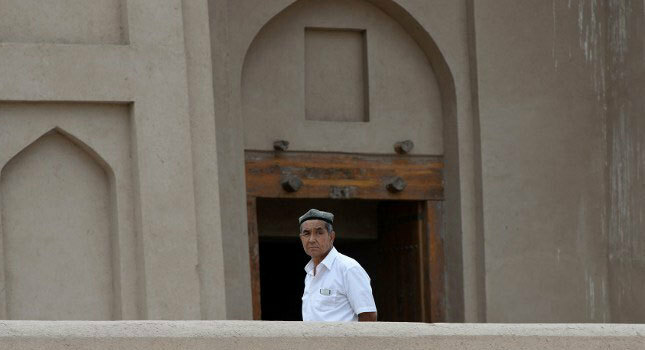 “The police department is in charge of household registration forms,” a worker in Kashgar (in Chinese, Kashi) prefecture’s Municipal Office of Petition Affairs told RFA. “If you have entered Islam on the form as your religion, you have to take the form back to the office that first issued it and have them change it,” RFA’s source said, speaking on condition of anonymity. “I can’t tell you anything more about it than this, though,” the source said. “Whoever gets a government salary should not write that they believe in such-and-such a religion on their registration form,” he said. Religious affiliations are not officially noted down in many other countries in the world, “but in those countries, you are at least free to practice your religion,” Memet Tohti, a Uyghur living in Canada told RFA. “We cannot put the Chinese government in this category,” Tohti said. “China penalizes normal religious practice such as keeping religious books at home, sending one’s children to religious classes, and so on,” Tohti said. But experts outside China say that Beijing has exaggerated the threat from Uyghur separatists, and that domestic policies are responsible for an upsurge in violence that has left hundreds dead since 2012.